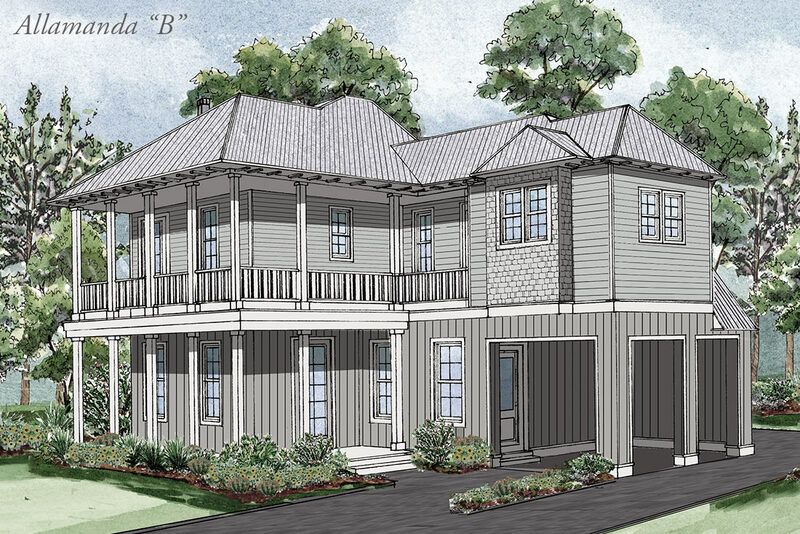 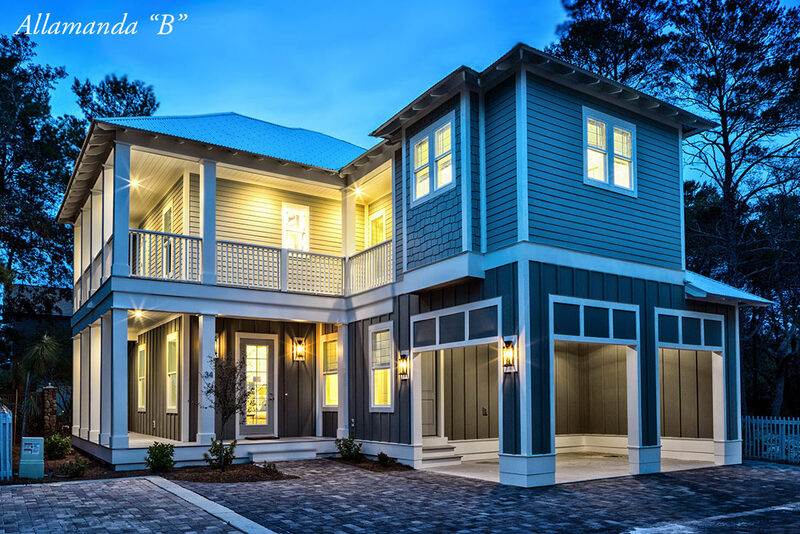 Option “B” of the Allamanda floor plan has a second floor wraparound porch. 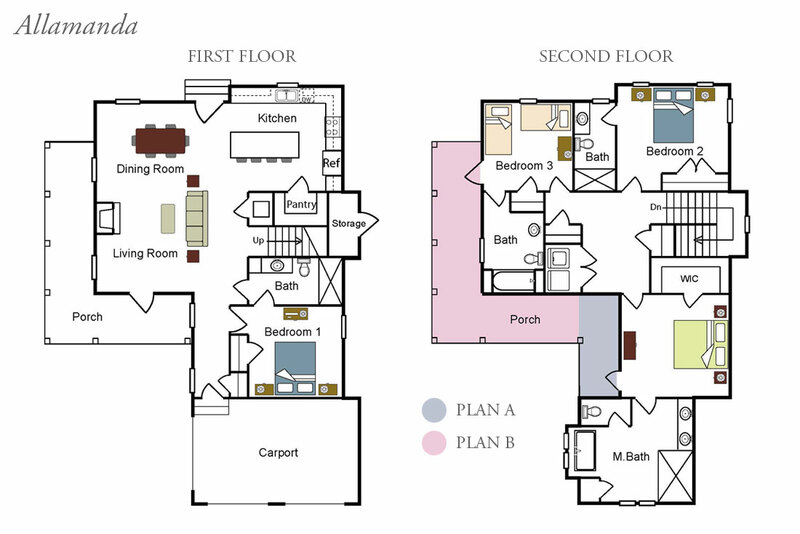 The open floor plan blends kitchen, dining, and family areas together. 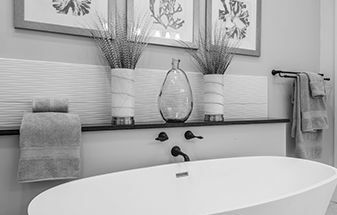 Professionally selected warm and cool color palette options available. 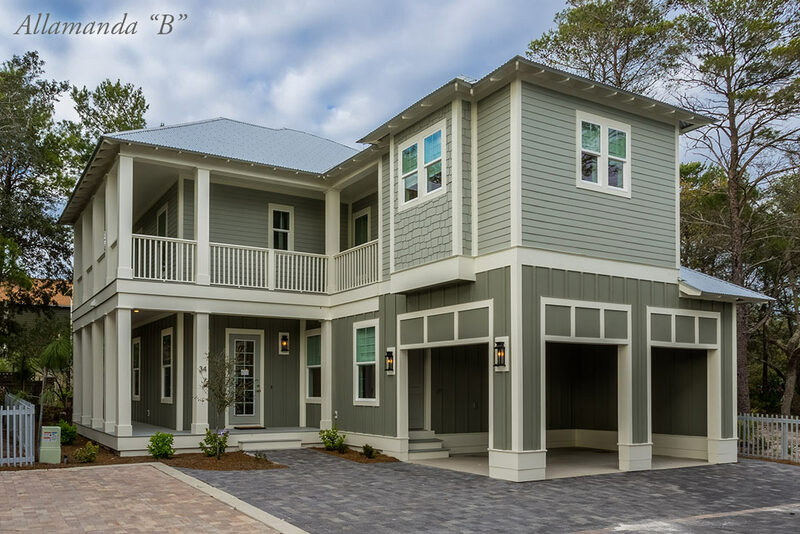 Granite counters, solid wood cabinetry, stainless steel appliances, designer fixtures and many optional upgrades.